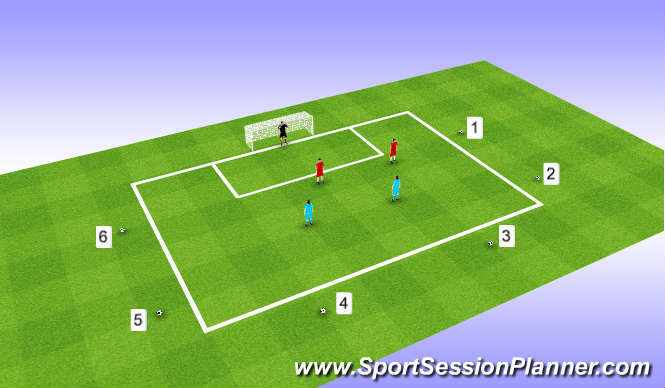 2v2 in the box 6 players on outside with a ball eachnumbered 1-6 coach shouts number and that player plays ball into box both teams try to score. 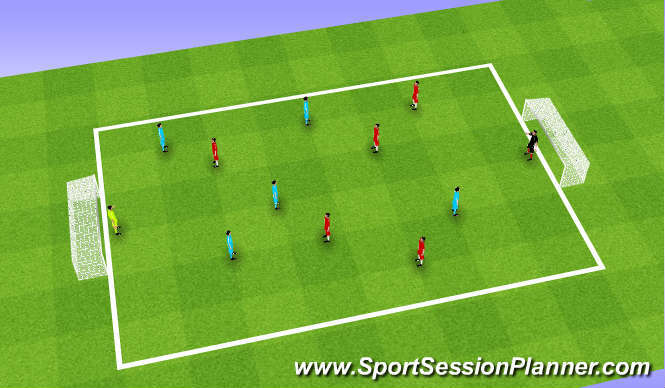 1v1 one player starts as a defender in the box other players on the edge of the box with a ball each. 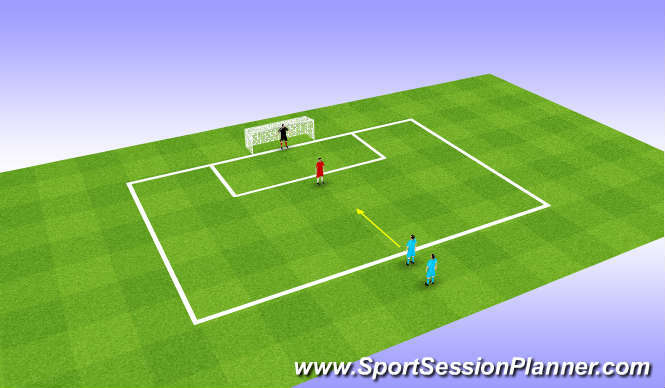 1 player with a ball takes on defender 1v1, after he shoots.Striker becomes the defender and defends against next striker. 3 min 3 team game. Reds v blues for 3 mins winner stays on to play greens. can we be positive in the final 3rd? Dribbling, passing, shooting inside of foot, outside laces. Movement off the ball to create 1v1, be positive. decision to pass or shoot. agility, balance, co-ordination, high intensity. communication verbal and non verbal commitment. Players worked hard and responded well, showed commitment to win the ball and score.